Towards the end of the morning, a couple, Ken & Mandy approached the Church @ Car Boot Sale coffee stand and explained that they had lost their car & house keys on site about an hour before, and that they were going round the main stalls asking if they might have been handed in. They were clearly very upset and it seemed that their son would have to somehow break into their house to retrieve the spares and there was a potential for a very large sum of money to replace the ‘chipped’ ignition key. 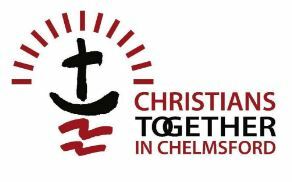 The volunteers hadn’t had any handed in, but one of them, David Gilbey (who also runs Chelmsford 24-7 Prayer), immediately told Ken & Mandy that they would pray for their safe return, telling them that they believed prayer really did work. He then said a short and simple prayer to that effect. As they prepared the despondent couple some coffees, and as they were still standing waiting for these, not 1 minute later, a lady walked up, stood next to them and to their utter amazement and disbelief, said that SHE HAD FOUND SOME KEYS and had brought them over to us as we seemed a safe place! Guess whose keys they were! Mandy immediately declared it to be a miracle! And the volunteers could not disagree. Both she & Ken had to sit down and recover for the shock! Thank you Lord, the God of miracles.